Housing Helpers offers the best selection of short term rentals in Denver. Have you been living in a hotel for an extended period of time? Tired of feeling like you live in a box? Sounds like you are you in need of a short term housing rental in Denver. Housing Helpers has been providing short term rentals in Denver since the mid 1980's. For needs of 30 days or longer, a furnished- all inclusive place is the perfect solution to a cramped hotel room. 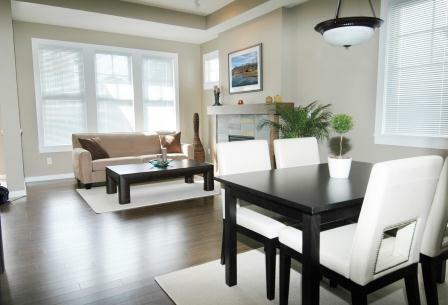 Our rental homes come fully equipped so you won't need to worry about the details as we've taken care of them for you. Our places are fully furnished and include all utilities, Internet, cable TV and everything one needs to be comfortable. For detailed information about all our included amenities visit our short term rental amenities list . You'll just need to unpack your suitcase and order a pizza. A short term rental in Denver from Housing Helpers is actually affordable with one bedrooms starting at $1,500 which is less than $50 per night. In comparison to staying at a hotel, the cost of a short term rental from Housing Helpers is significantly lower than the price of a hotel. A short term rental in Denver from Housing Helpers is actually affordable with one bedrooms starting at $1,500 which is less than $50 per night. With a hotel you typically have a bed, a television and maybe a desk with a chair. With a short term rental from Housing Helpers you'll think you've never left home. Our locations are throughout the Metro Denver area for your convenience. Housing Helpers receives referrals from realtors for folks waiting to buy a home, or remodeling a home. We receive requests from insurance companies for displaced families. Businesses come to us to handle their needs for relocating employees. Professional athletes use our services as a matter of convenience. It is easy to see why so many industries count on Housing Helpers for their short term rentals. We handle everything. There are many options for short term rentals in Denver for studios and hotels. Imagine having to find a home for your family including children and pets and making sure they are comfortable and their lives and activities aren't disrupted too much and being able to rent it on a short term basis. Housing Helpers Metro Denver has the short term rental you need. We can customize a large home and accommodate your furry friends as well. For any type of size of a short term rental in Denver and the surrounding areas, Housing Helpers is the place to visit. Housing Helpers is a proud member of The Corporate Housing Providers Association (CHPA). CHPA is the only trade association dedicated to the professional corporate housing industry. Corporate housing providers accommodate business travelers, families, and individuals, by providing quality furnished temporary to extended stay housing with a high level of customer service for the corporate traveler. The largest selection of short term rentals in Denver! "You can count on Housing Helpers for the best selection of corporate housing and extended stay properties in Colorado."